Live chat helps you to go the extra mile for your business with the feature of interacting with live visitors on your website. · Placed on all the pages. · Ability to chat with the visitor immediately. · Can get offline messages which can be replied later. 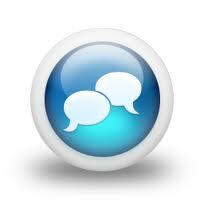 · Conversations are stored which can be retrieved later on at any time. · Can be operated by multiple users & computers at the same time. We provide an in-house developed live chat system implemented on all of your websites. Our live chat features uniquely with the feature of multiple users being able to interact with the visitors. How to accept the chat? How to use Options of Chat Window? How to use Online Visitor Tracking? How to confirm that the visitor is Online? I don’t have time to stay online, what to do? How to change my account details?